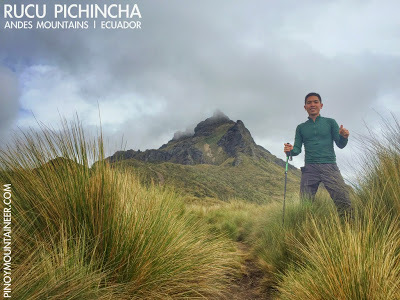 QUITO, ECUADOR – It feels great to finally reach six continents! Of course, I am aspiring for seven, but still, being in South America is significant for me. Culturally, we have much in common with many countries in this continent, as we share a similar colonial past under Spanish rule. 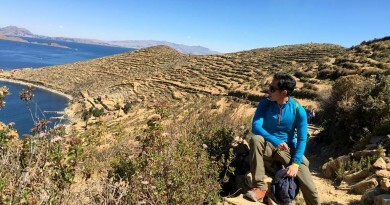 And of course, as a hiker, there is the great Andes – the second highest mountain range in the world, next to the Himalayas. 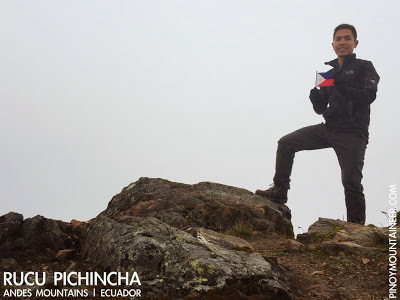 The popular choice is to go to Macchu Picchu – or perhaps the Patagonia, but I am not in a hurry to visit those places. 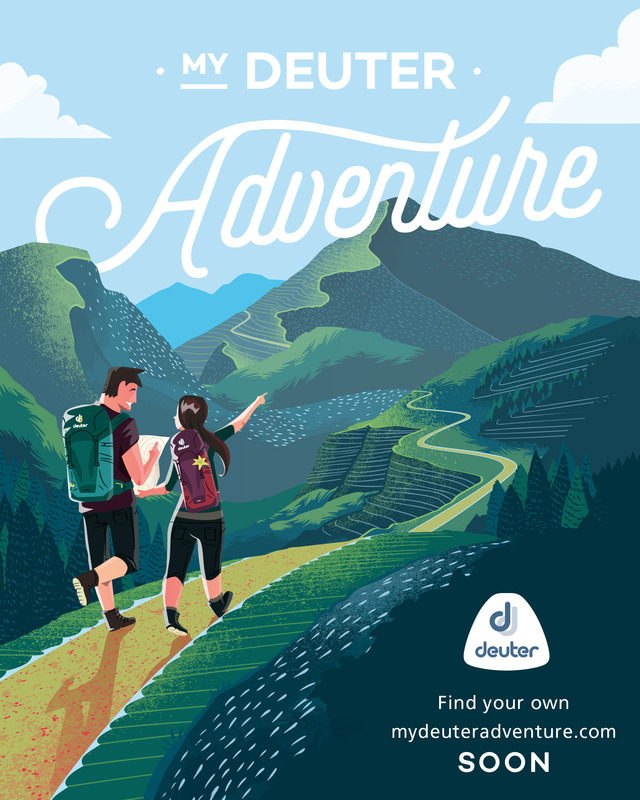 I just wanted a short break and decided on Ecaudor, with its countless hiking possibilities. 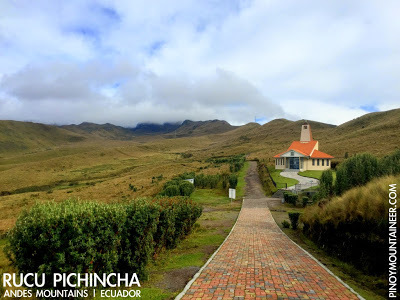 Though not as famous as Peru or Argentina, Ecuador actually has some of highest volcanoes in the world including Chimborazo (6311 MASL) and Cotopaxi (5897m). 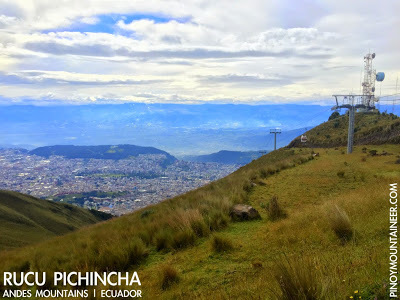 Moreover, the Ecuadorian capital Quito, at 2800 MASL, is a perfect place to acclimatise, while at the same time a great place to do some sightseeing (the Old Town is one of the first-ever World Heritage Sites). 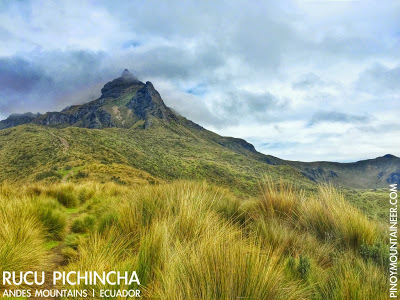 Today, after two days in Quito, I did my first Andes hike, Rucu Pichincha (4698m), one of the three peaks of the Volcan Pichincha. 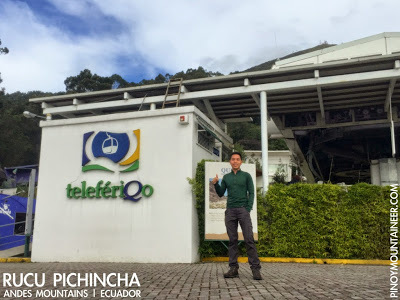 I took a taxi from Quito ($4 one-way) to the TeleferiQo (round trip $8.50) which brought me up to the trailhead, 3945 MASL. I started trekking at 0846H. 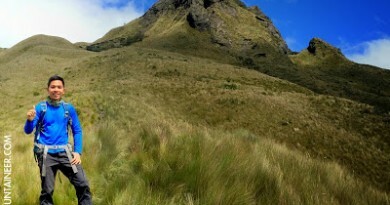 It was an easy walk along a vast expanse of grassland slopes, with great views of Quito throughout. The only challenge was the altitude – though I thankfully did not feel anything (yet), I was careful to move slowly but steadily. At the base of the peak itself, however, the foot trail ended, and there was no way up but to go through a scree slope, then go past the “Paso del Muerte” (Pass of Death) – a narrow sliver of rock with ravines on both sides. 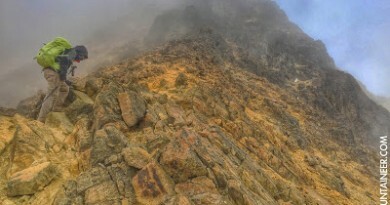 Given the fact that the peak was surrounded with clouds, it was quite challenging going up not knowing what to expect beyond the next few meters! Fortunately I managed to reach the summit, at 1048H. In the end, it didn’t take too long — but it certainly felt longer while I was trying to scale the summit! The phone died down after a couple of shots, but in any case I could only stay for a few minutes as it felt very cold. There was still a bit of excitement on the way down the rocks and the scree slopes, but otherwise it was a smooth return to Quito. A great start of my hiking trip here! 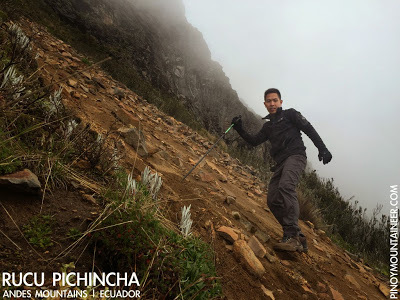 1 Comment on "Hiking matters #456: Rucu Pichincha (4698m) in Ecuador, my first hike in the Andes"